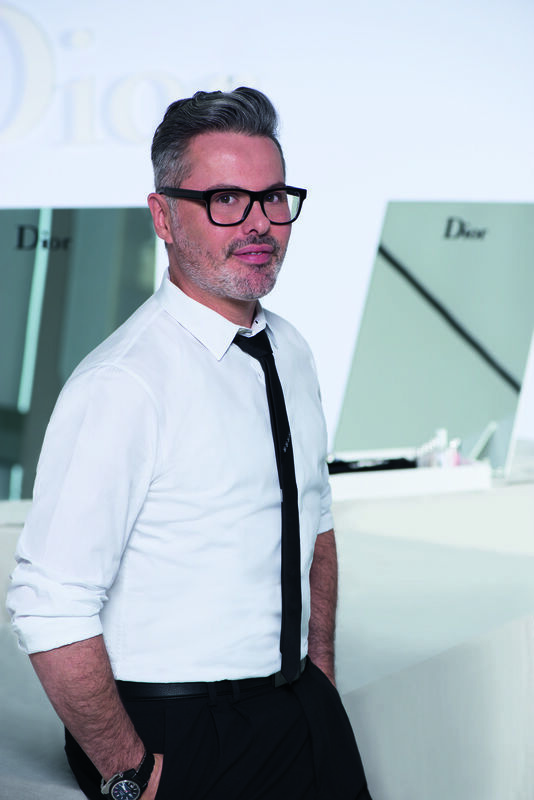 Jamie Coombes, make up artist extraordinaire-, spills his beauty secrets, reveals his favourite latest trends, and the best trick he's ever learned in two decades at Dior. With over two decades in the beauty industry, there isn't anything Jamie Coombes doesn't know about make up. We finished off London Fashion Week at St Martins Lane with a Masterclass from the man himself. We were lucky enough to sit down with him afterwards to hear about the latest hot-off-the-runway trends and the best beauty secret he's ever learned. How long have you been a make up artist and how did you get started? I've been 'dressing faces' and doing make up for 21 years now! It all started when I was studying fashion and textile design at London College of Fashion - I got a job working in the clubs as a freestyle dancer, which introduced me to 90's club culture as well as plenty of fashionistas. It was an extremely colourful, diverse and inspiring time for me. What do you love about working for Dior? For me, working for Dior has been a long love affair. Dior as a fashion house was the inspiration behind the collection that got me a place at LCF: the heritage, the stories and the passion that comes with Christian Dior is infectious, and such a perfect synergy to every woman's dream of herself. 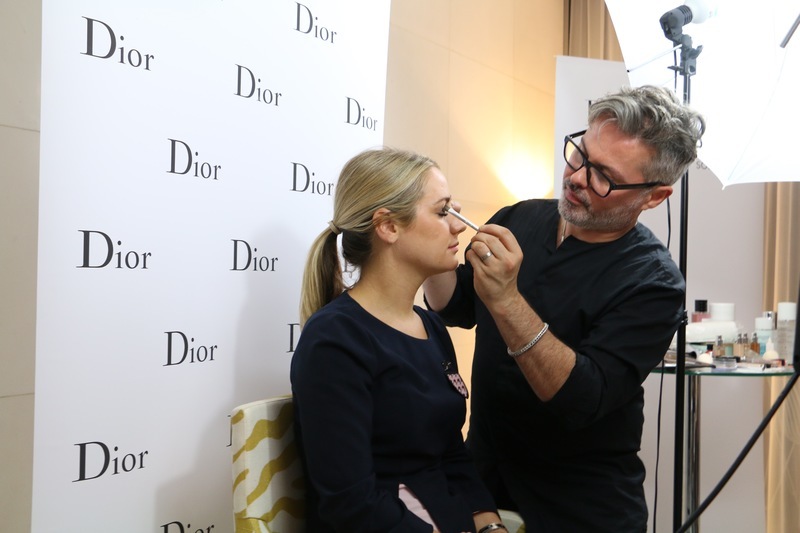 'Dare to be Dior, dare to be you' is a quote from Peter Philips, Dior Creative and Image Director for Make Up, and I think it is so true. 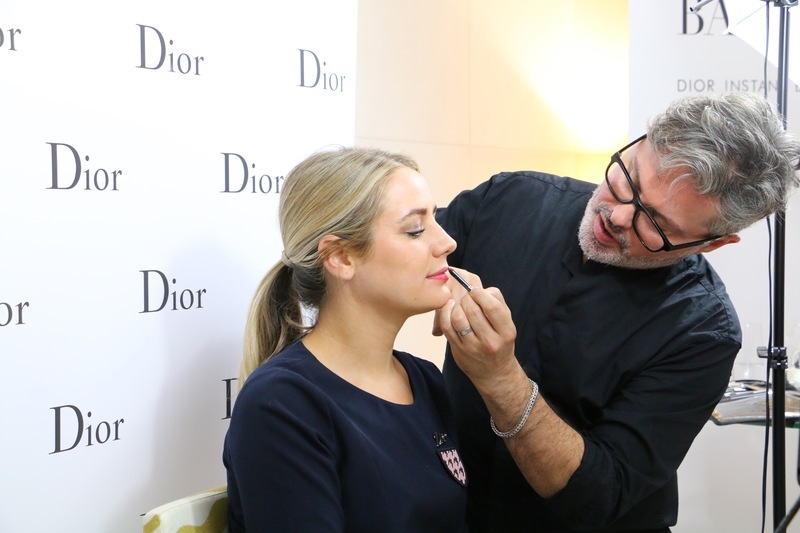 It's our job to 'make women not just beautiful but happier' (Christian Dior) and, as a Dior make up artist, I strive to achieve this every working day. You have to always expect the unexpected, and to have an open mind at all times. We work at an extremely demanding speed - the needs of women and the beauty industry are constantly changing, and this is what keeps me so passionate and excited about make up. There is always something new in colour, texture and fragrance, so there's always something to evoke new emotions. Is there one product you use every time you create a look? I don't have one specific product, but I always use the Dior Backstage Pros range. With Fix It colour correctors and concealers, Lip Pomade, Universal Blush, brow palettes, Lash Maximizer primers and more, these truly are my make up saviours. What is the one thing every girl should have in her make up bag? ALWAYS a lipstick - find your signature colour and live it! Lipstick to me is like a gorgeous pair of stilettos - you can keep it chic and pared-back in a pair of jeans, or dress it up for red carpet glamour. Lipstick makes a statement and completes the whole look from head to toe, giving ultimate confidence to the wearers style and helps her own her style wherever her destination. What is the secret to transforming a look from day to night? Lipstick and mascara! Rouge Dior lipstick can tell so many stories. For your daytime look, choose rose, pinks or beiges; for a quick evening transformation a slick of a rich matte hue will really turn up the heat! Finally, finish off with a full coating of Diorshow mascara to widen and frame the eyes. What is the best backstage beauty secret that you've been taught, and by who? One of the most inspiring times in my make up career was when I spent a day with cosmetics artist Dany Sanz. It was in Paris, about 10 years ago, in her studio with my colleagues from the Dior Pro team. She stood in front of a table full of bowls of coloured pigments, creams and oils, and said to us 'make up is like cooking: you mix to create the colours and textures you need.' Then, right before our eyes, she mixed the most gorgeous colours and textures, appliying them to her model to create a mind-blowing piece of make up artistry. Seeing her do this gave me the confidence to push boundaries - that lipsticks, eye shadows, blush and lip gloss are all colours and textures that can be manipulated and mixed into something more than their original purpose. Tell us one of your own backstage beauty secrets. I think it's extremely important to never overdress the skin. It's much better to layer sheer textures and pigments to maintain the skin's natural beauty - always perfect and enhance rather than mask imperfections so you still look and feel like yourself. What is your favourite beauty look from this season's shows? I'm loving the new look of contouring in textures. Create glossy, dewy skin with natural highlights to emphasize the structure of the face, then mattify the areas you would usually contour with transparent powders to enhance the highlights - it's definitely easier to than previous contouring techniques. I've also seen plenty of sparkle and glitter on the runways which is so fun and looks amazing! What is the ultimate 'London' beauty look? It's got to be soft, neutral tones with a touch of liner in the upper outer corners of the lash line, finished with Diorshow Overcurl mascara. Keep the complexion fresh and glowing with a pinch of pink on the cheeks, and finish with a delicious flush of berry on the lip with Rouge Dior in Poison.